The luxury and the natural beauty of Mexico’s Pacific Treasure will be on display during the Cinemex’s Cineminuto, an accessible and versatile entertainment campaign. From October 20th through November 16th the Riviera Nayarit will be featured in 185 movie theaters via Cinemex’s Cineminuto, which will play the official destination video during the commercials prior to the start of the feature film. This promotional campaign is a joint effort by the Riviera Nayarit Convention and Visitors Bureau (CVB) and the Mexico Tourism Board (MTB), taking place in theaters in Mexico City, Morelos, Guanajuato, Jalisco, Nuevo Leon and Puebla. The magic of the cinema has the power to turn the daily grind into something fantastic and is also a very accessible and versatile entertainment experience, which is why the entities expect a very positive response to the campaign. A total of 6,475 spots will be played with an estimated average of 301,308 media impacts in segments AB and C+. With the words “How to explain the unexplainable? A place where color comes to life…” the promotional video invites domestic market viewers to discover Mexico’s Pacific Treasure. 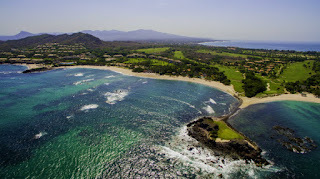 The destinations attractions and natural beauty are on full display during the video, as well as a look at the activities visitors can enjoy, including the Islas Marietas and its famous Playa del Amor; the Marina Riviera Nayarit; the “Tail of the Whale” golf island in Punta de Mita; the port of San Blas and La Tovara; the Magical Town of Sayulita; bird watching and whale sightings; nautical sports; and the mysticism of the Huichol culture. 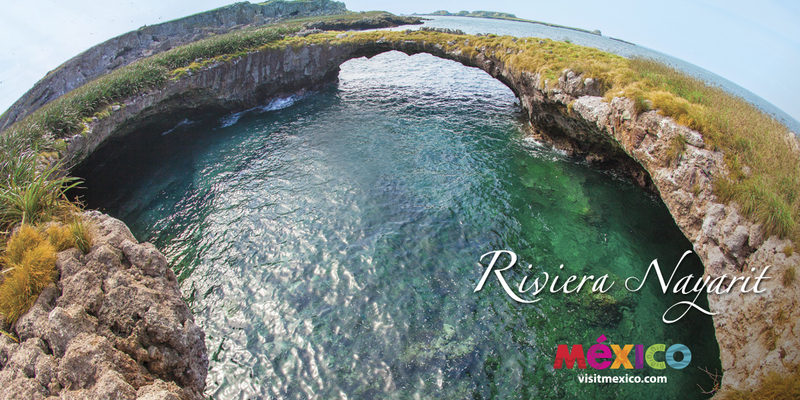 The promotional video lasts one minute, during which it barely touches on the many marvels of the Riviera Nayarit, which is why nothing less than a visit to the destination will do to experience firsthand everything it shows. It’s with strategies such as these that the Riviera Nayarit Convention and Visitors Bureau (CVB) and the Bahia de Banderas Hotel and Motel Association (AHMBB), along with the support of the Government of the State of Nayarit, reinforce their commitment to work hard to attract more and better tourism to Mexico’s Pacific Treasure and help distribute it throughout the State to improve living conditions for all the citizens of Nayarit. Cinemex is the sixth largest theater chain in the world. It has been the leader in Mexico’s theatrical market for the past 22 years.